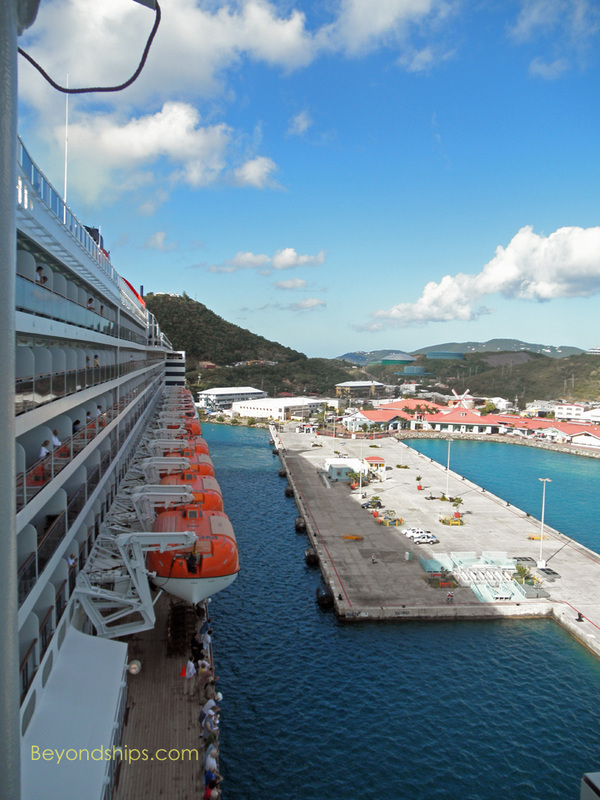 Oasis and Allure have to dock at Crown Bay. Havensight is the larger of the two ports. The cruise ships line up bow to stern along side. Guests exit and return to the ships via gangways extending through the shell doors in the ship's hulls. Three large modern cruise ships can tie up at Havensight at the same time. 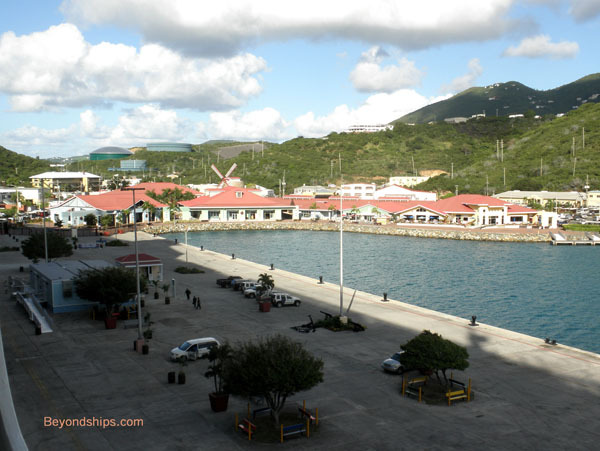 This area has been extensively developed with a large shopping mall, restaurants and even a post office within easy walking distance of the ships. Charlotte Amalie. Taxis wait by the dock gates. Alternatively, it is a pleasant but long walk along the shore into downtown. 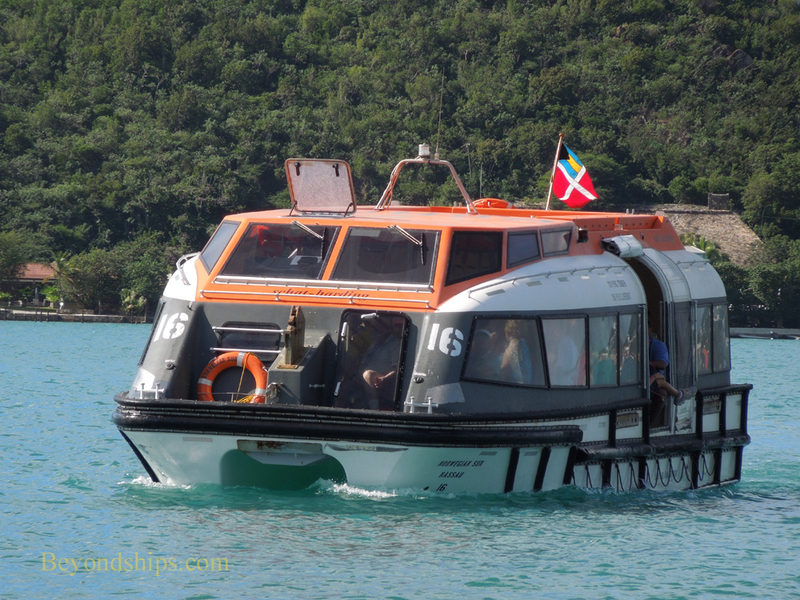 Crown Bay is St. Thomas' newest cruise port. It was at one time a naval base. Ships must proceed through a relatively narrow channel to get to and from Crown Bay. The ships dock on either side of a single finger pier. As at Havensight, guests enter and exit the ships via gangways through the shell doors. Beyond the gates of the port, there is a small shopping mall and a welcome center. It is quite difficult to walk from Crown Bay to downtown. However, taxis can usually be found waiting in a designated area. 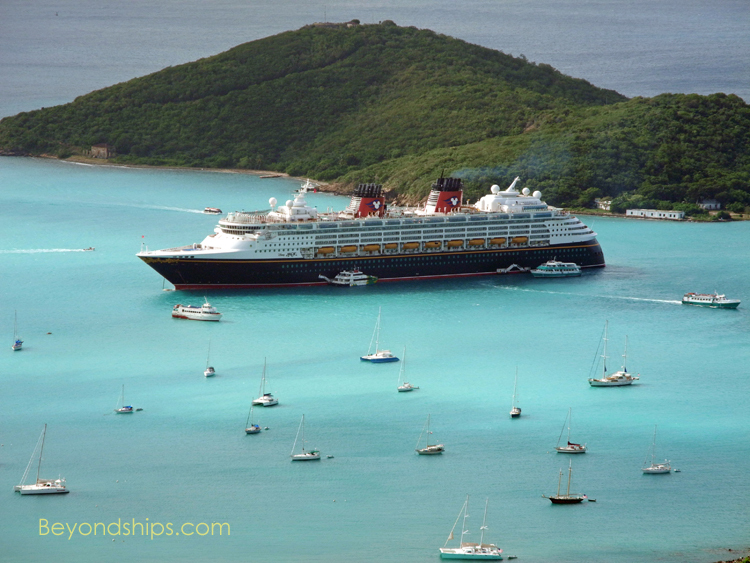 Tendering Occasionally, there are more ships calling at St. Thomas than berths. 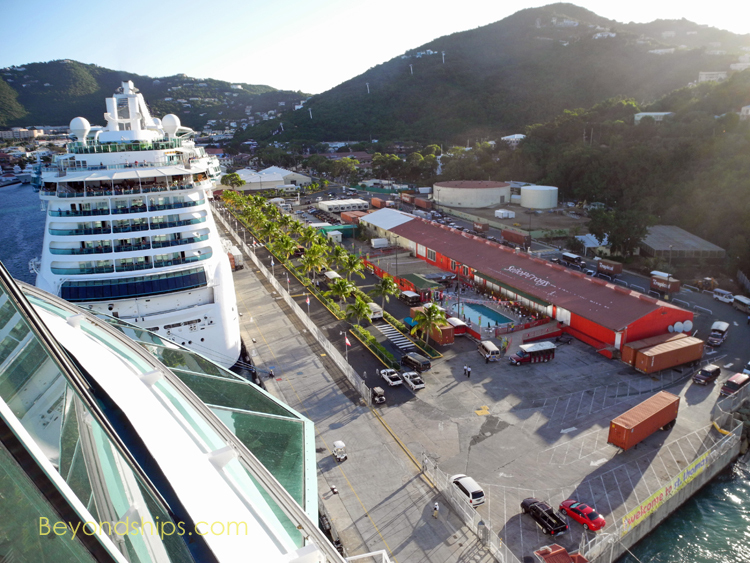 In such instances, one or more ships can anchor in the bay between Havensight and Charlotte Amalie and tender passengers ashore. 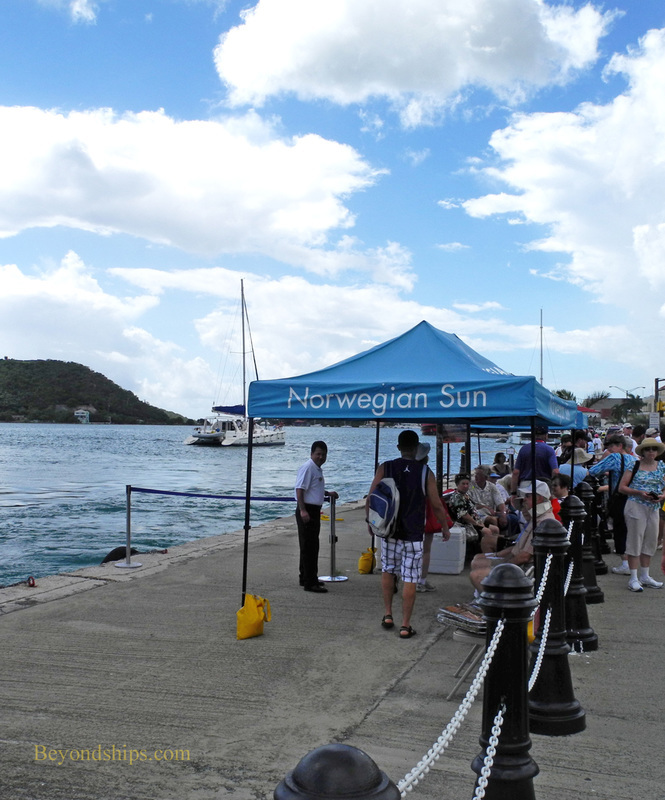 Cruise ships tendering in St. Thomas can also anchor outside of the harbor.